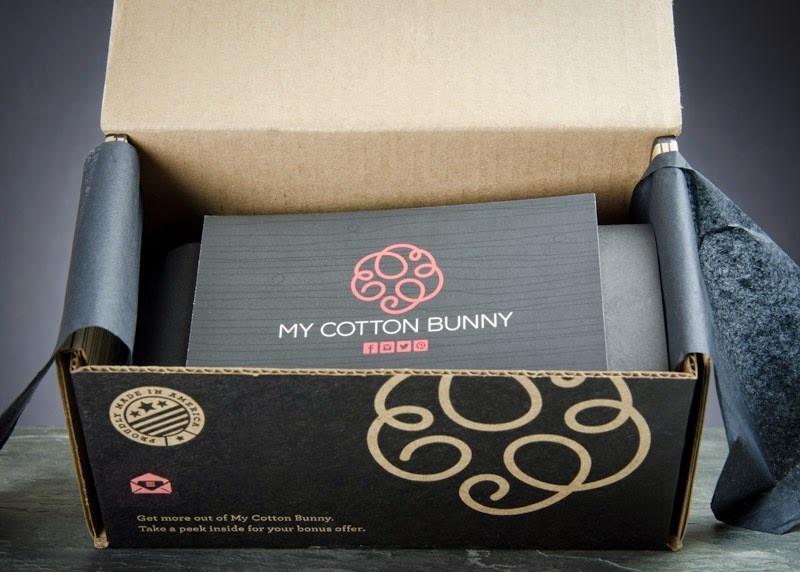 boxfullove: boxfullove TLC :: My Cotton Bunny :: May 2014 + COUPON CODE! 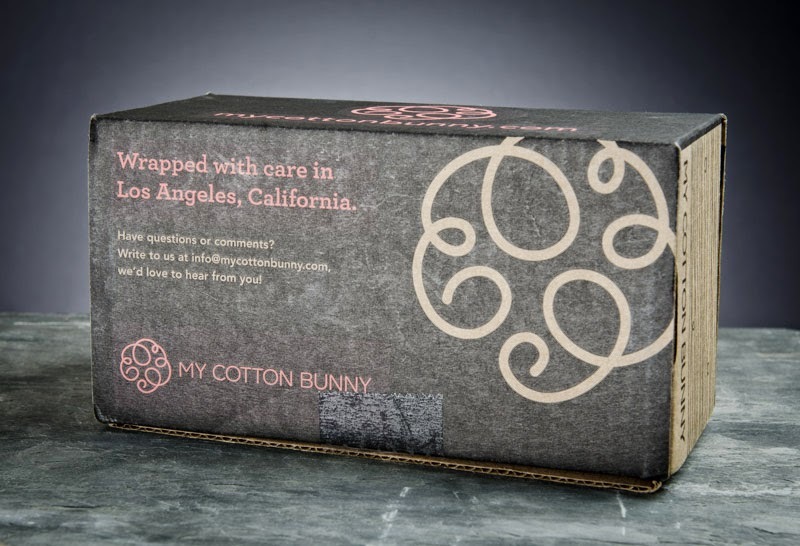 boxfullove TLC :: My Cotton Bunny :: May 2014 + COUPON CODE! Hi guys! Back from another mini-hiatus during which the boyfriend and I took some time off work and spent a few days in New Orleans, now officially the city of my dreams. We ate our fair share of oysters, drank some transcendent sazeracs and Ramos gin fizzes, caught amazing local brass bands on Frenchmen Street, and fought the urge to stay put and not come home. But alas! We came back. And in the interim, the lovely folks at My Cotton Bunny generously sent me one of their bundles to review, so there's that. Yay. Please note that it was impeccably timed, too. What does that mean, you say? Weeell... I'll explain. 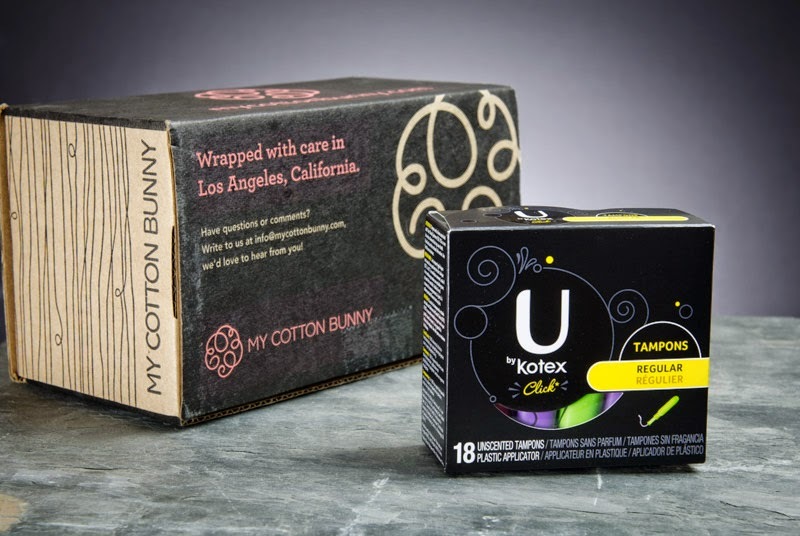 My Cotton Bunny sends a monthly stash of feminine hygiene products along with an assortment of small goodies to keep you well stocked during that time of the month, and to provide some well-deserved treats during an otherwise relatively crappy few days. Membership is $16 per month, which includes shipping costs. Once you sign up, and before checking out, you get to specify your preferred brand of tampons or pads, whether you want pantiliners every other month in lieu of your usual products, and your preferred size (regular, super, or super+). You can also time your delivery to coincide with that visit from Aunt Flo, if you will (sorry, but period discussions automatically = unavoidable corniness), by selecting those key dates on a handy calendar. Then input your payment info, and you're set! These are the tamps I requested and received. Yay tamps. They're Regular Kotex Clicks: they get the job done and, as far as these things go, are pretty good-looking. Anyway, I'm sure we're all sufficiently familiar with these that I didn't see a real need to photograph them further. Chocolate is always, always well received chez Boxfullove, so I was really excited to find these in my bundle. Around period time, I'm always craving rich, sweet, indulgent, milk-chocolaty treats. I'm such a stereotype! The two bite-sized Equal Exchange dark chocos were a little too dark and stark for me, but I did love that they're Fair Trade and high-quality confections, so brownie (pun intended) points go out to My Cotton Bunny for sourcing these. 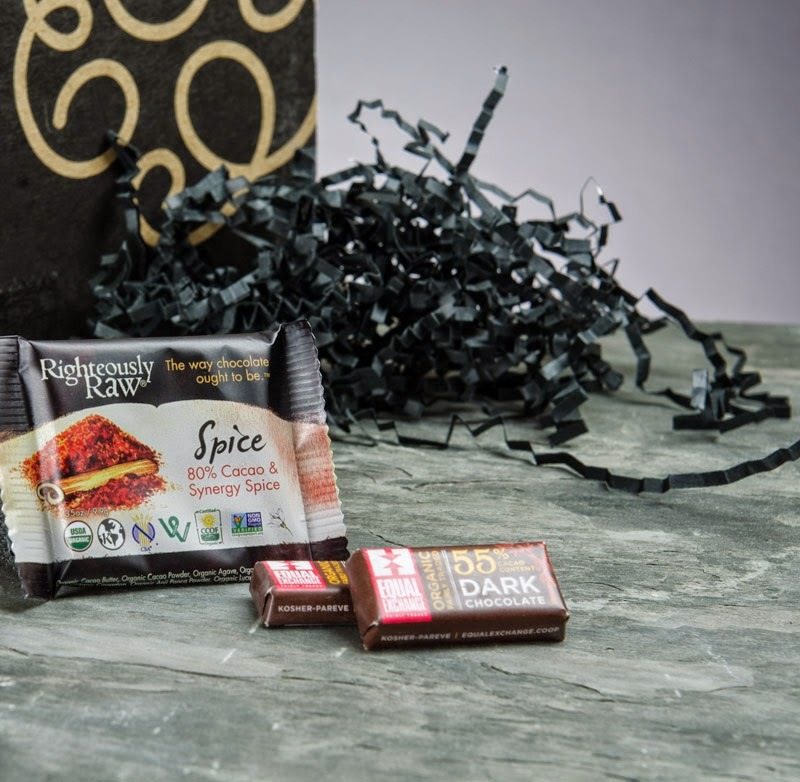 The Righteously Raw square was cool in theory (spicy chocolate! ), but a little too aggressively spicy for me. These were a creative addition to the box, though I'd love to see something of the truffle persuasion, or along those lines, in future shipments. 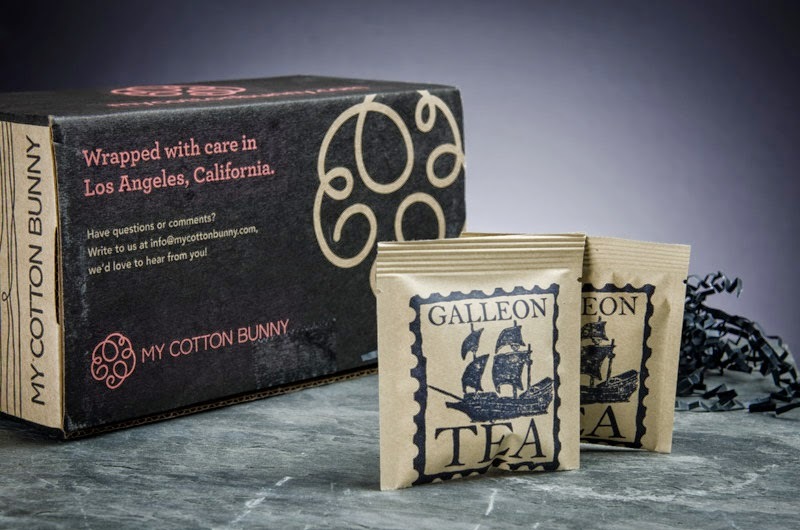 I was also excited to find these cute Galleon Teas tucked into my bundle. (++ packaging points!) I may be a rarity, but I'm never upset to find tea in my subs. It's a delicious and comforting treat, so perfect for a time-of-the-month sub. I appreciate that My Cotton Bunny does not remove the pads or tampons from their original packaging, so finding the little random, unlabeled hot-pink towelette was a little odd. I wasn't sure what to make of it: Body wipe? Or makeup wipe, like its LA Fresh Travel-Lite companion? Ok, ok, I wasn't mystified for long, since the My Cotton Bunny insert helpfully revealed it to be an Always Radiant Wipe-to-Go. The final treat, and the bundle's standout, was this cute sterling silver bracelet with its accompanying charms. It's very similar to a Pandora bracelet, and surprisingly high-quality, so it was a welcome surprise. It's not entirely my style, but I'm sure a majority of girls were thrilled to find this guy in their bundles. Not bad at all for a mere $16, right? 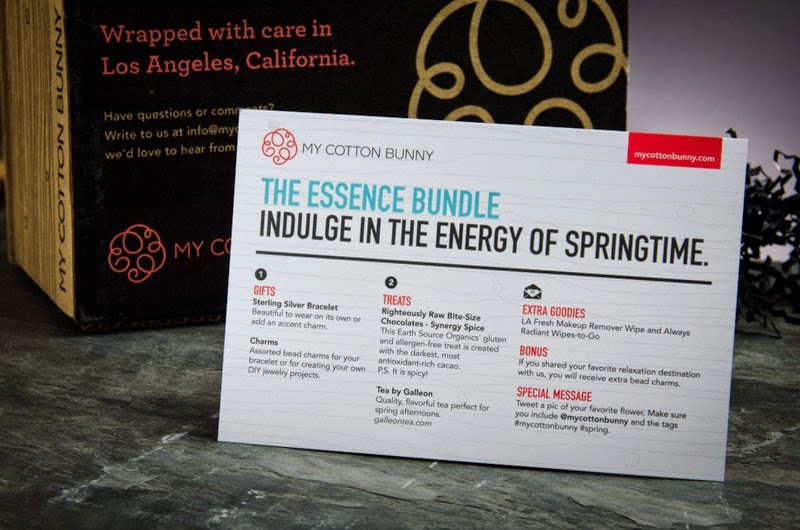 While the total retail value of a My Cotton Bunny bundle might not be astronomical, I think the value here is in the service they provide. They do your period-supply foraging for you, so if you stick with them you'll hardly ever have to worry about depleting your stash, or about standing awkwardly in checkout lines with your armloads of absorbent goodies. They also give you something to look forward to, a much-needed little morale boost amid all that hormonal moodiness and yuck. My Cotton Bunny is a fun, sensibly-priced sub, and I think it's a solid investment overall. What do you guys think? Interested in joining My Cotton Bunny? 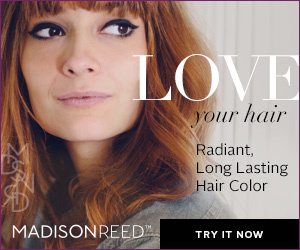 Boxfullove readers get 10% off their first box with code MAYBLOGMCB.